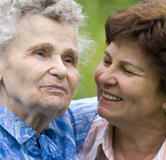 Downey In HomeCare has a number of personal caregiving services that can help Seniors or Elderly. Our at home care program include In Home Care, Caregivers or Sitters for Seniors, Personal Hygiene services for elders, Respite Care, Terminally Ill Care, Handicapped and Disabled Care for long-term or short-term needs. 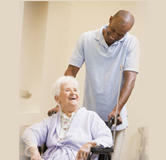 We provide Home Care Services to the residents of Downey, Norwalk, Lakewood, La Mirada, Cerritos, Long Beach and other cities in the Los Angeles County and Orange County areas. 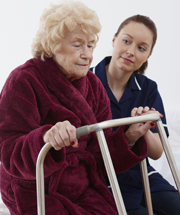 Downey In Home Care provides our clients with caregiver homecare that will relieve the stresses that come along with providing for an elderly family member or loved one. 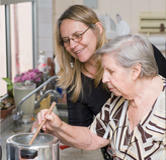 Having a trained, professional in-home care provider who is unrelated to the family gives the senior humility and dignity with the most personal of caregiving. Maintaining the client’s privacy and independence are priorities to our compassionate Home Health Aides, Certified Nurse Aides and Caregivers.